Improving your range of motion can be done with several different knee rehab exercises. I have included a few of the ways I address range of motion loss with my patients below. Extension, or straightening the knee is essential for normal function. 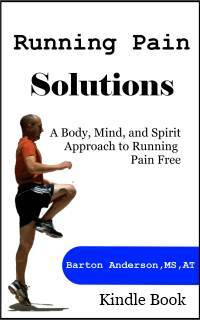 Without it you cannot walk normally, and you cannot restore your quadriceps strength. Extension loss can be caused by swelling, hamstring tightness, scar tissue formation, or muscle weakness. To address hamstring tightness or scar formation, you can use passive stretching like the figure four hamstring stretch to improve this motion. Scar tissue formation is common after knee surgery, and friction massage may be necessary in order to reduce the adhesions between the tissues and improve your knee range of motion. This is usually performed by your ATC or PT, but you can do this at home as well. The most common areas that need friciton massage are over the incision sites, and over the patellar tendon. If you have scar formation at the incision sites, you will be able to feel it. It will feel like small areas of hardness under the skin. It may also be painful to the touch. Around the patellar tendon, it may feel harder or less pliable than compared to your other knee. Another way to improve extension is heel props. This is a passive exercise, and you can easily do this at home. By propping your heel up, you are allowing your knee to relax and straighten out, stretching the joint capsule and the posterior hamstring muscles. One thing that will greatly help your knee extension is to start working on it immediately after your injury or surgery. Once you have full extension passively, maintaining that motion is easy. 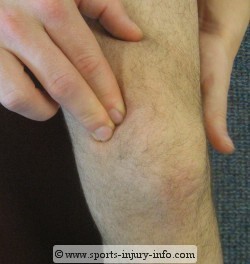 Flexion restrictions in the knee are usually caused by swelling and pain. It takes time for the swelling to subside after an injury or surgery, so this motion will return more slowly than knee extension. 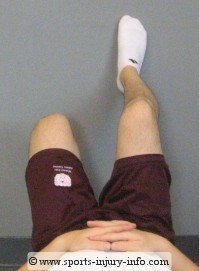 One knee rehab exercise to improve knee flexion is a seated towel pull. Place a towel under your heel, and then use your hands to pull the towel towards you, letting your heel slide along the floor and your knee bend. Once you get to the point where your knee is very tight, let it rest for a minute, then straighten it out and repeat. 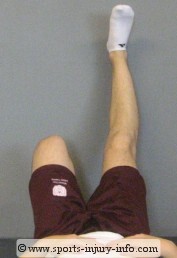 Another great knee rehab exercise for improving flexion is a heel slide on the wall. To do this, lay on the floor and place your foot on the wall (socked feet are best). Then let your foot slide down the wall and your knee bend. Go until your knee feels tight, let it rest for a few seconds, and then straighten it out and repeat. Knee rehab exercises to improve range of motion are simple and easy to do. Not only should you be doing them during your rehab sessions, but you can also work on them at home for an even speedier recovery. Make sure that you follow your physicians instructions about how far you should be bending your knee.